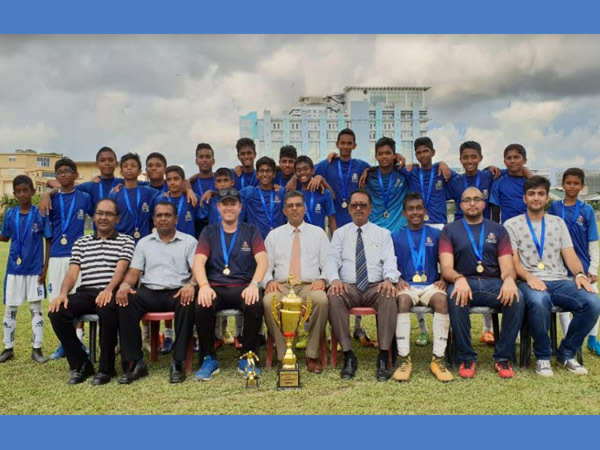 Gateway College, Colombo, once again proved too strong against their International School opponents by retaining the Under 16 Inter-International Schools' Championship for the third successive year. The tournament, hosted by Elizabeth Moir School, was played at the Shalika Grounds. Gateway Colombo kicked off the group stage with two commanding victories beating both Alethea and Lyceum Rathnapura 7-0. On course to the final, Gateway College defeated a strong team from Gateway Kandy in the quarter finals and Lyceum Panadura in the semis. In a repeat of last year's final, Gateway fought a tough match against Lyceum Nugegoda eventually winning 4-3 in a penalty shootout. The match had ended 2-2 after full time, with two exceptional goals from Thaqi Riza and Samunu Kaggodaarachchi. Samunu scored the goal of the tournament by curling one into the top corner from outside the box. Thaqi Riza top scored for Gateway netting 7 goals throughout the tournament whilst captain Samunu Kaggodaarachchi was awarded Player of the Tournament for his commanding and destructive performance in the midfield. 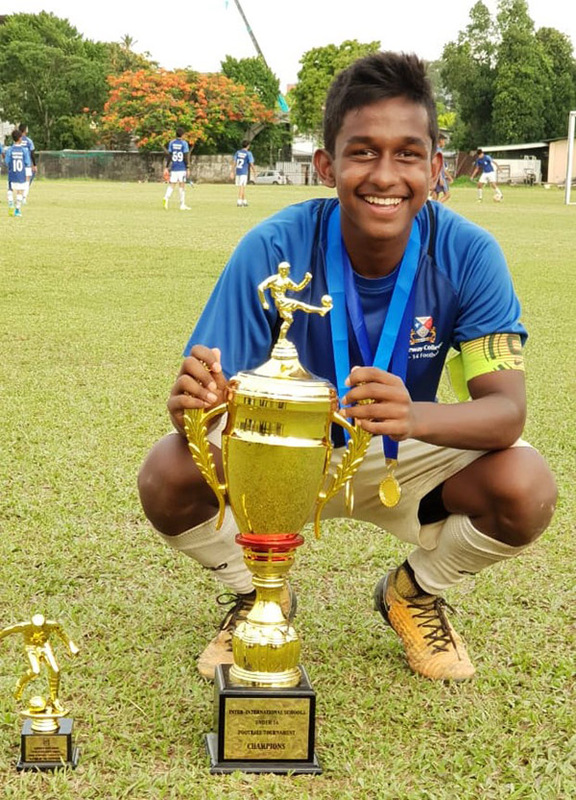 This outstanding result comes on the back of becoming Colombo District Champions and All- Island Runners Up earlier this year, the first International School to reach the finals of an All- Island torunament, and the first ever to win the Colombo District against some of the best national schools in the country.